Professional rodent removal is by far the best method of eliminating harmful nuisance rodents from your property. 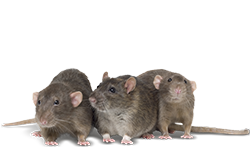 For over three decades, Critter Control® of Dallas has specialized in effective rodent removal and control. Our team of highly trained technicians have the tools, skills, and knowledge necessary to handle any job efficiently, while providing you and your family with the best solution for your particular problem. Mice – The house mouse and deer mouse are the most common variations of these critters that we see. They have light-colored underbellies and very curious personalities. They reproduce alarmingly fast, and can multiply in a matter of weeks. Rats – Most commonly seen rats are the Norway rat and roof rat. These critters are more difficult to catch, as they lack that curious personality that mice have. Rat species have also been known to act aggressively when cornered. Squirrels – These cute and fluffy rodents are well known for their ability to chew openings in roof structures to gain access to attics in order to build nests for their young. Don’t let their appearance fool you, squirrels are just as destructive as their siblings. Rustling noises – Annoying noises coming from your walls or ceilings as the rodents scurry about in their search for food, water, and nesting materials are a strong indicator of unwanted critter activity. Generally, these noises are prominent at night, as most rodents are nocturnal in nature. Foul odors – Rodents give off a distinctive musty smell, and their urine smells strongly of ammonia. It’s nearly unmistakable. Nesting – A rodent’s mission upon entering your home is to build a nest for their young as quickly as possible. You will often see scraps of paper, cardboard, and even attic insulation strewn about your home due to their activity. If you notice any of the signs of rodent activity, you should seek professional help right away to keep any damage to a minimum. Contact the experts at Critter Control® of Dallas with any questions, or to schedule a complimentary home consultation today at 817-222-1101.